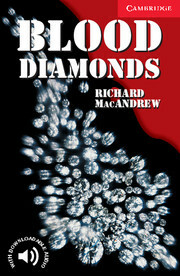 Diamonds smuggled from the bloody civil-war zones of Africa and traded illegally for weapons are known as 'blood diamonds'. London journalists Harley Kirkpatrick and Annie Shepherd sense the scoop of a lifetime when they try to trap a deal in the diamonds. But who is trapping who and are the people involved what they seem?